Jacqueline Johnson has been intimately involved in the bridal, honeymoon and romance markets for over two decades and is often referred to by friends and associates as “The Wedding Guru.” Ms. Johnson has worked throughout the world advising countries and hotels on ways to better attract and satisfy the wants and needs of brides and honeymooners. Ms. Johnson has held management positions in Fortune 500 companies including Conde Nast — as Executive Director of Brides, Modern Bride, Elegant Bride, Brides Destinations & Honeymoon and Brides.com. 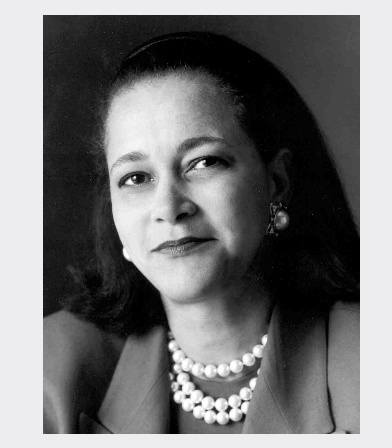 She also served as Executive Director of New York Magazine, VP Assoc. Publisher, Bridal Guide Magazine. “Travel, especially throughout the Caribbean along with weddings and honeymoons have been and will always be my passion.” says Ms. Johnson. To stay current on travel to the region she is a correspondent for Questex Travel Group that includes Travel Agent Magazine and Luxury Travel Advisor. Today, in addition to overseeing a growing enterprise of bridal and honeymoon multimedia and e-commerce digital brands she is also a prolific speaker, writer, perennial digital marketer. After working on the start-up of Brides.com Ms. Johnson was smitten by the endless opportunities being presented by the internet. Leaving the Conde Nast Bridal Group she acquired an unknown brand and modest portal in the US market called www.MarryCaribbean.com. Today, MarryCaribbean.com is a leader in its class, showcasing the Caribbean as a leading travel/honeymoon and tourism destination. This was later followed by www.CaribbeanWeddingAssociation.com, www.GlobalWeddingResource.com and eventually the www.GlobalBridalGroup.com as the parent company for all her sites focused on travel, weddings, honeymoons and the romance market and expanding internationally. “My goal is to be the leading provider of comprehensive and user-friendly information couples seek to make informed and enjoyable wedding and honeymoon plans wherever they may live.” Ms. Johnson stated. She has advised the leading destinations throughout the world on the business of weddings and honeymoons, delivering qualified market information and developing/hosting local Bridal Symposiums. Mrs. Johnson is available as a motivational or keynote speaker for business, association events. She brings a prolific story of how one can win and overcome almost insurmountable barriers. “You can almost always find a way to win.” Call or contact her below to include her on your speakers’ list and agenda.